We have entered the world of sight words! My 5 year old twins have recently started their first year at school and it was a bit of a shock to see them bring home homework after only 3 weeks. I don’t mind sharing with you that I found it confronting to realise that we have entered the world of flashcards and work sheets and there isn’t a whole lot I can do about it! These are not my favourite methods of learning – I prefer a play based approach even as children enter formal schooling – I think it can be done well by skilled teachers who have the support of their school systems. 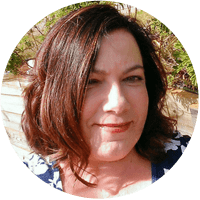 However, I am also realistic and understand that teaching methods in early years primary education are often very different to current early childhood education here in Australia and many schools are resistant to the possibility of changes in teaching styles. 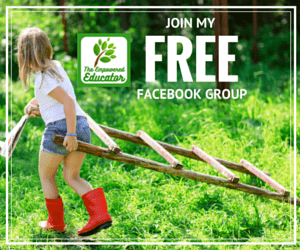 But just because as an educator and parent I am no longer in control of how and what my children learn in school each day – It doesn’t mean I can’t support their learning through homework tasks incorporating our love of play and outdoors. I have no issue with children being expected to learn and focus during the day while at school but at the end of the day I prefer to see children outdoors processing their day through play and conversation – not sitting down tired and overwhelmed after a big day while they chant their way through flashcards. But there is an expectation that readers and sight words are completed each night so I decided to make homework fun whenever I could. This is one of the ways I have been using to help the twins learn their sight words lists. We did save the messy play until the weekend but every afternoon we have been trying to combine words with our play in different ways. I’ll share 15 of my favourite ideas at the end of this post. 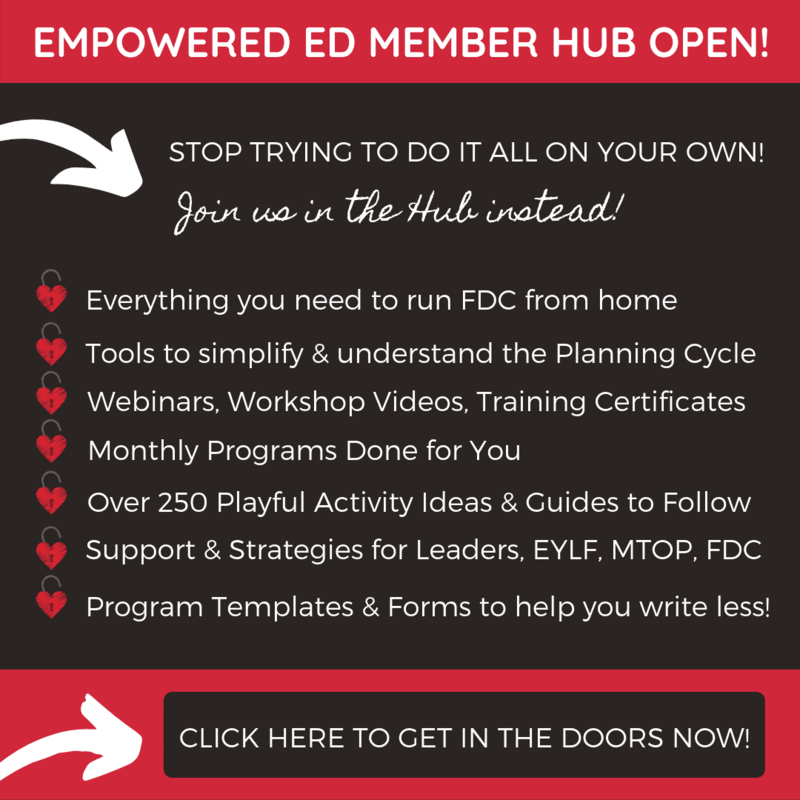 First let’s explore this glorious messy sight word play – I know your children will love it! We have an old plastic table outdoors that we made the perfect child height by shortening the table legs. Above this table the twins have collected their favourite pots, pans and other kitchen essentials for their cooking and messy play. On this day I also added some recycled spice jars with a little edicol powder dye in each for them to use to colour their concoctions. Earlier in the week Daddy had brought home a large sack of flour that was unable to be sold due to damage so I also added a few bowls of flour for mixing with. 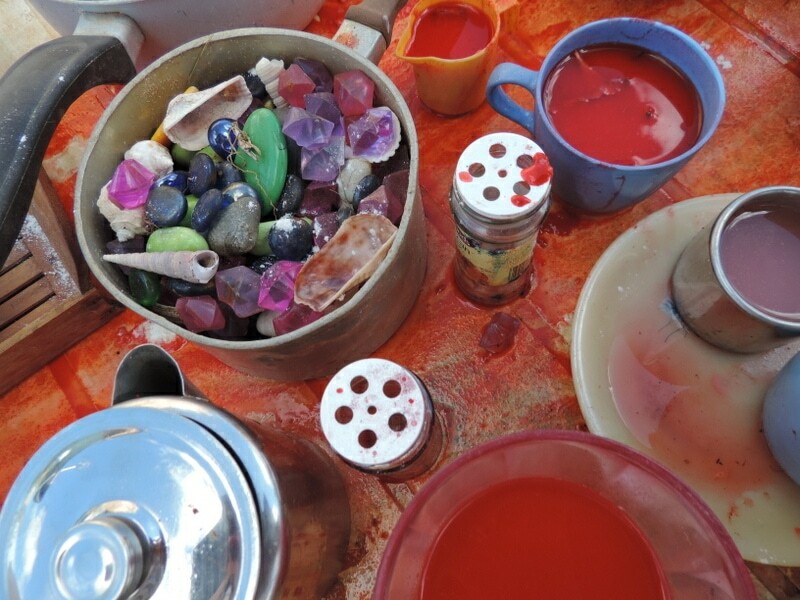 Immediately I began to hear conversations about colours and creations – a feast for the senses! 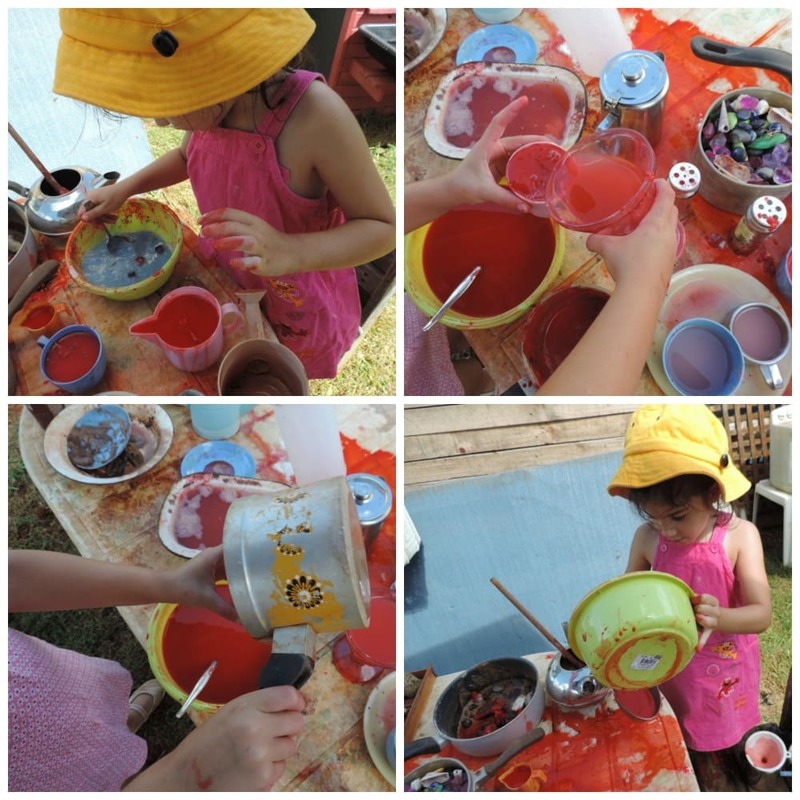 Choosing their own materials and mixing together in the way that they want to is an important process for children. 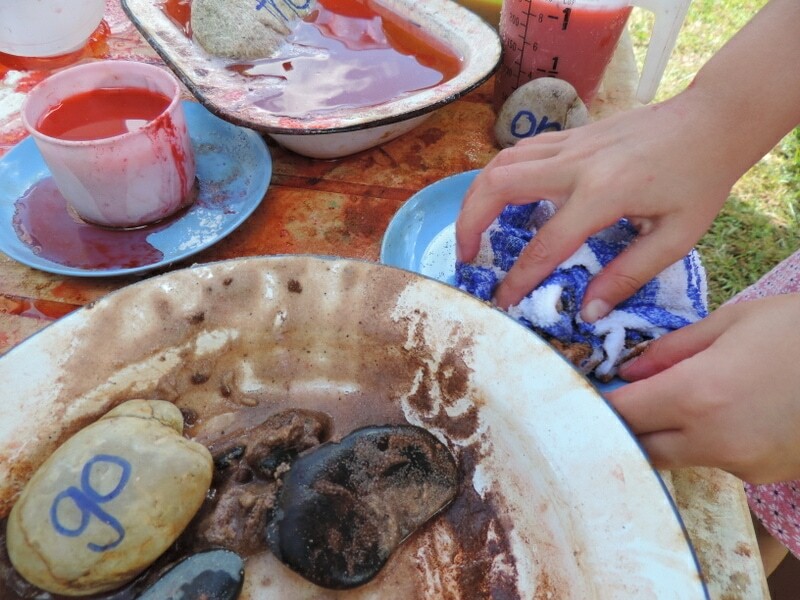 It gives them a sense of ownership and pride in their creations and what looks like just mess to us, in actual fact offers many important learning opportunities. Pouring, measuring, hand and eye coordination, spatial awareness, role play, using senses, making decisions and so much more. Children take their play very seriously – it is their work and it is always important to understand and respect that . 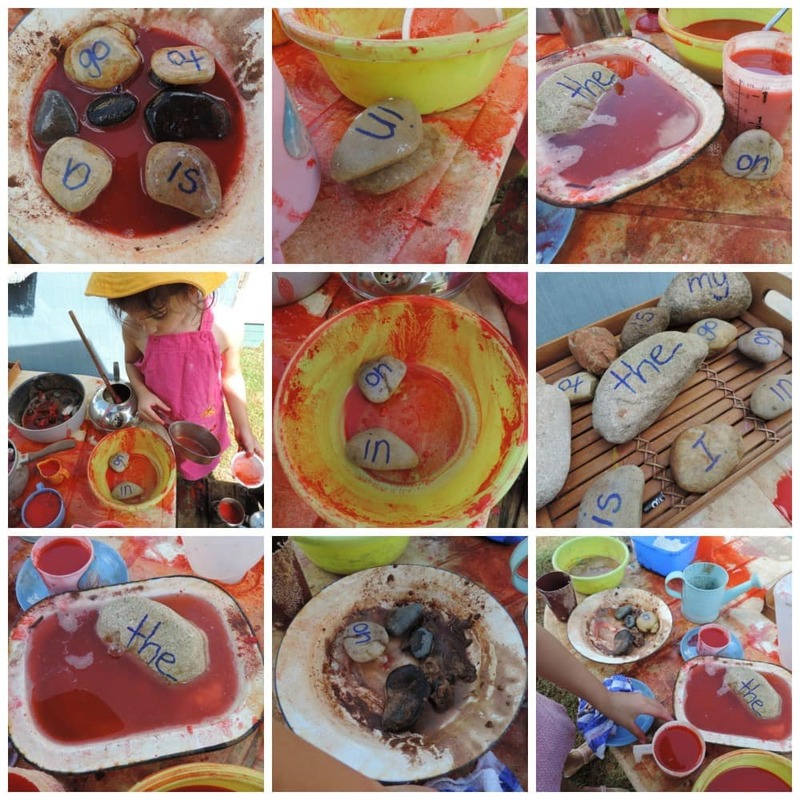 As they created I added a tray of their current sight words written on rocks we had earlier collected together from our pebble play quarry and stood back to see what might happen – how would they incorporate these into their play? I didn’t want to direct their play at this stage – I just wanted to see what they might come up with. The stones were quickly picked up and were used in many ways. I found it interesting that they would say the word as they picked up each stone with no prompting from me. I simply repeated the word correctly if they got it wrong the first time around – but didn’t interrupt their play. 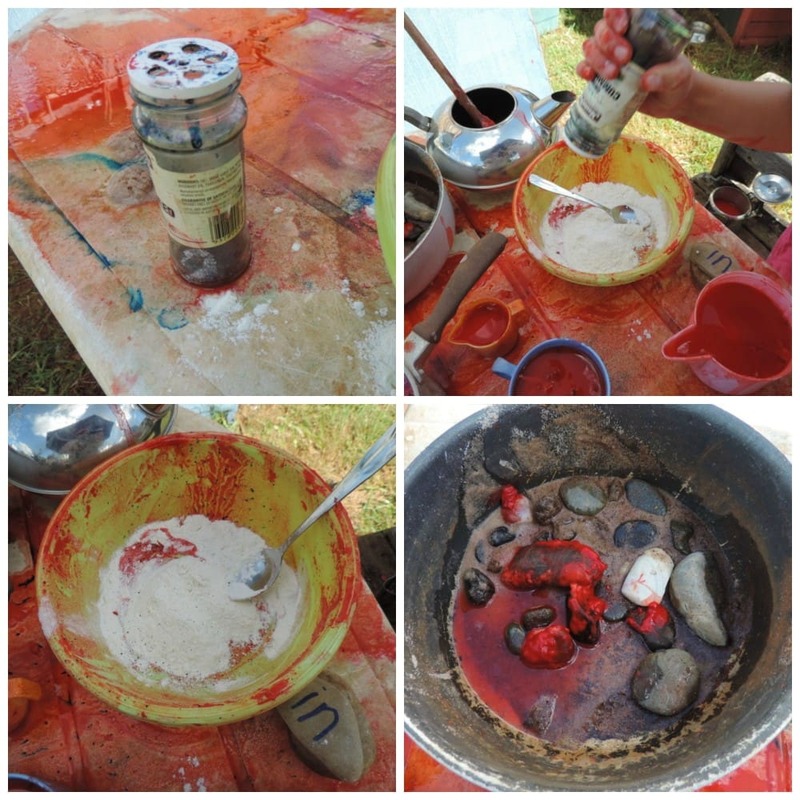 As you can see in the pictures below they were used as food, they were washed, they were ‘stuck’ in the mudpie, they were stirred into cakes, they were arranged as ‘money’ and ‘cakes’ in a shop …all the while the words were being repeated and constantly being looked at – yet not a flashcard in sight! 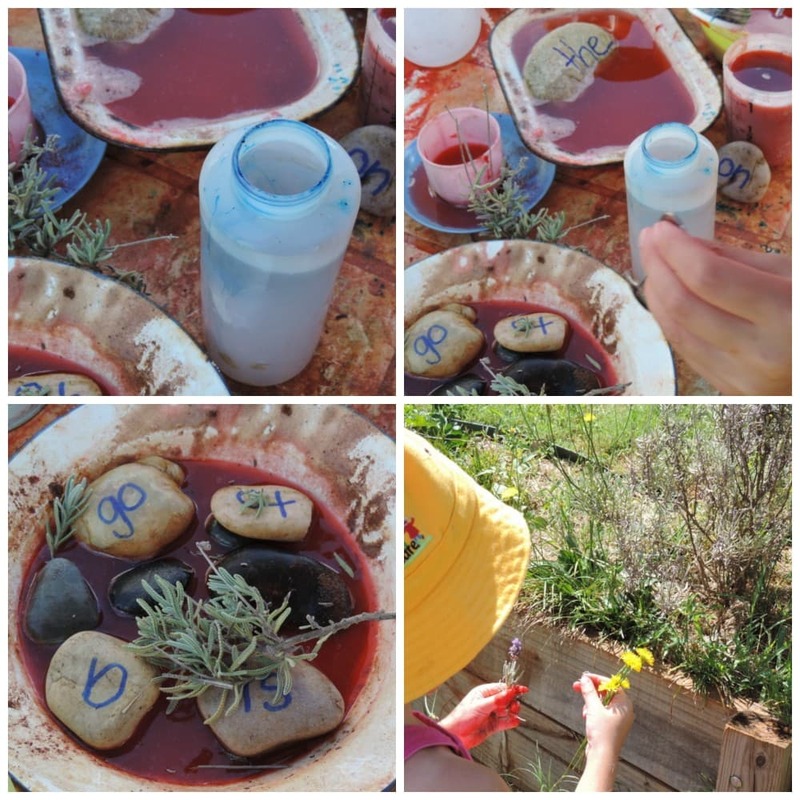 Ruby decided she wanted to add flowers and leaves from the garden to her creations so the sight word stones began to be used again in different ways with the addition of more natural materials. 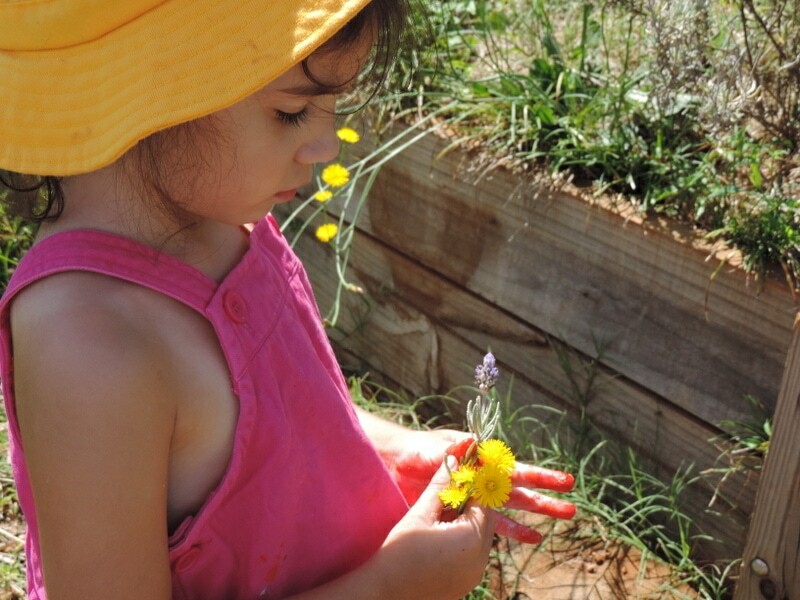 I encourage all parents and educators to plant a few flowers or plants with different smells and textures in the backyard and ensure children know they are able to pick them to use in their play. 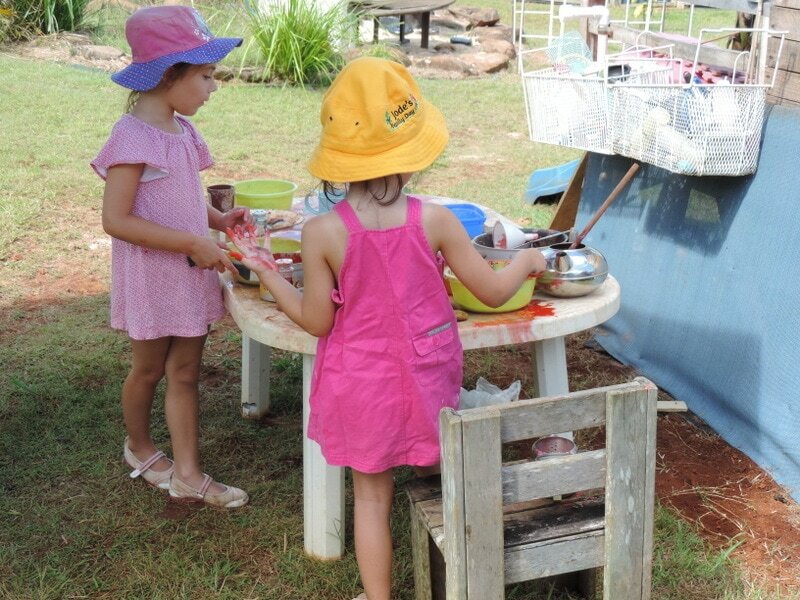 They love the discovery and autonomy and it adds a different sensory experience to their outdoor play activities. 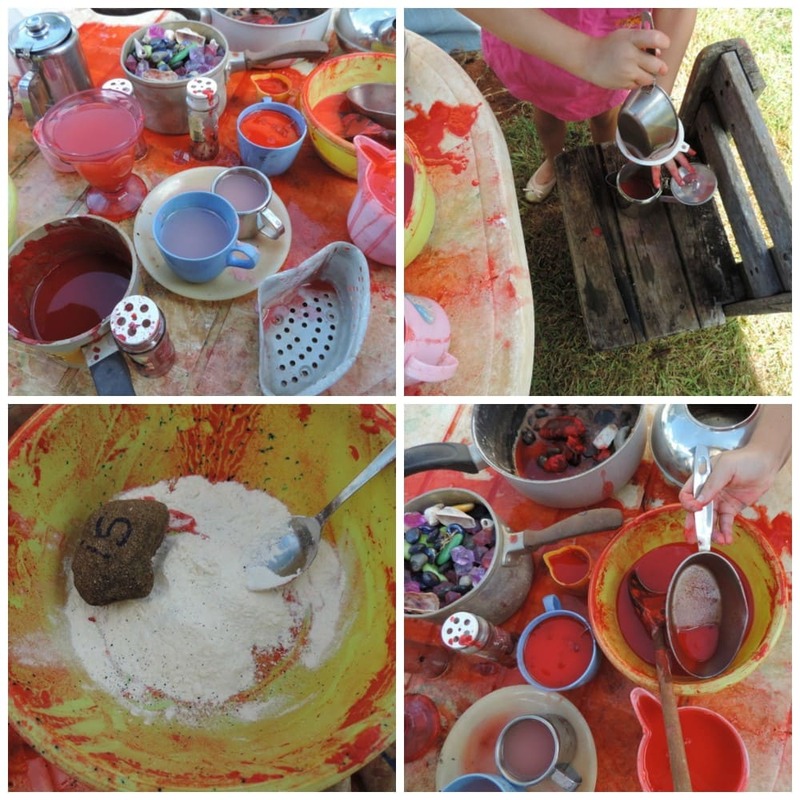 Lavender is very popular in our garden at the moment and added a wonderful smell to the messy play as they crushed flowers and tore leaves to add to the coloured water and goop. 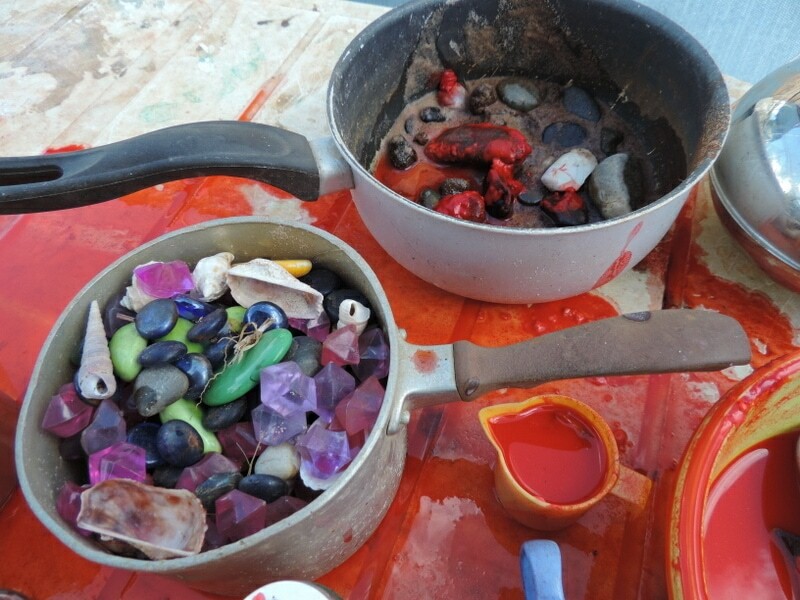 Of course, what messy play activity outdoors would be complete without saucepans and bowls of rocks, pebbles , shells and gems collected from around the yard. 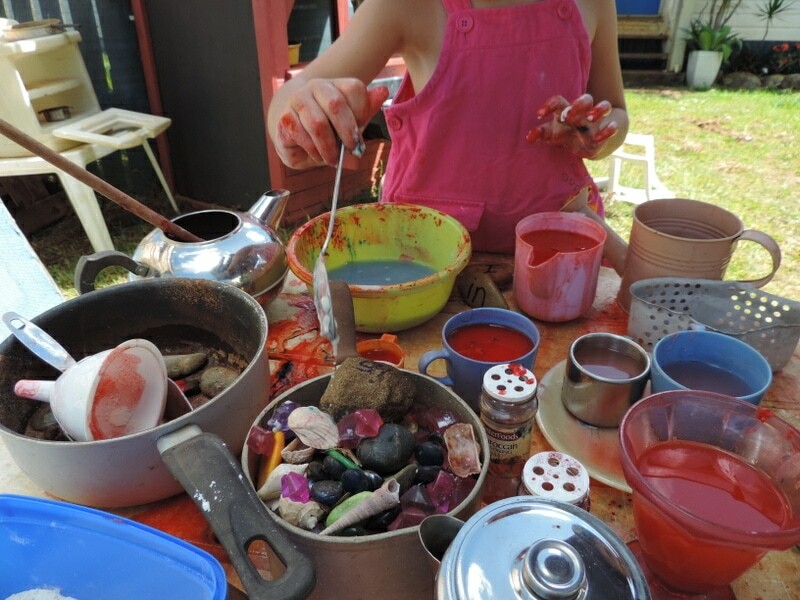 These simple materials can become so many things and be used in so many different ways when a child is working with their creativity and imagination! This is just one of the ways I have been incorporating sight word homework into playful learning. Here are a few other ideas you might like to try if you need a change from the flashcards and lists. Write the words on some kitchen sponges (cut in half) and add them to the bath at night – they will stick to the side of the bath with a little water. Print off a few sheets of the words, laminate or contact and cut into cards then use to play games of snap, memory and go fish. Use blu tack to stick your sight word cards to items around the backyard or house. Challenge the children to race and find each word as you call them out. Stick laminated sight words to the back fence – hand out water guns and ask them to hit the sight word target. Ask them to also call out the word they are aiming for and the word they actually hit! 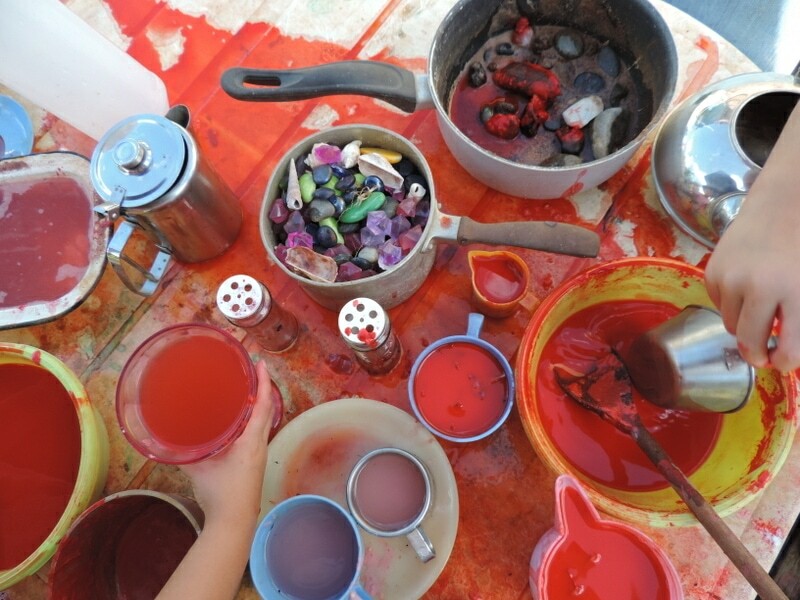 Hand out buckets of water and paintbrushes and encourage them to paint words on the cement or fence. You could also use a blackboard to do this. Fill zip lock bags with coloured cellmix paste or hair gel – tape bag to a flat surface (seal zip lock!) 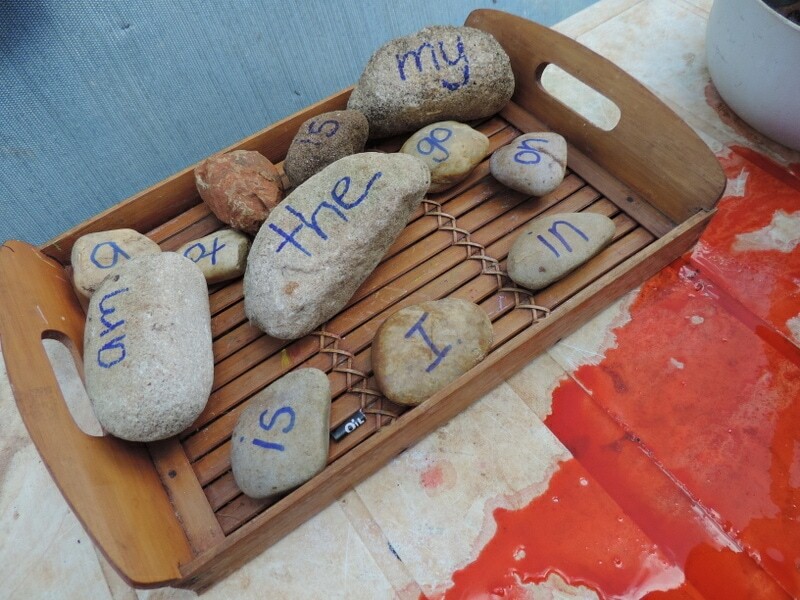 and encourage children to write the word as they see it on the card – lovely sensory experience without the mess! Pass out some old magazines, scissors and paste and ask children to cut out the letters or words in their current sight word list and paste to make a picture or story. Use those small wooden cube blocks that have letters on to form the word or blu tack your own letters to blocks and watch them build words and simple sentences! I’ve actually been writing on our old Jenga wooden blocks. 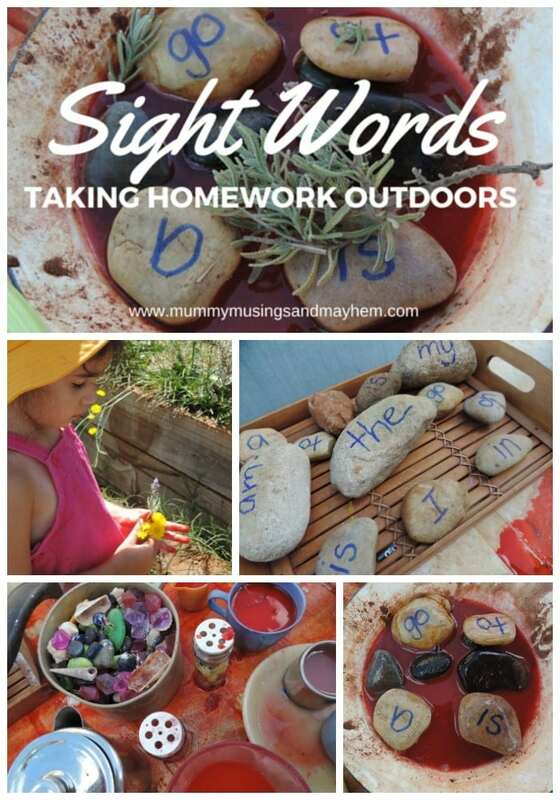 Next time children are playing in the mud or wet sand hand out some sticks and encourage them to write their sight words or if younger write the sight words and ask them to tell you the word before everyone has fun mushing it up and smoothing to start again with another word! Shaving foam on a table is also wonderful for this type of activity! Write the sight words on a whiteboard and then pass out erasers – ask the children to find and erase a word. Use chalk to draw up a hopscotch frame on the pavers or driveway. Give out a rock to throw onto the hopscotch frame – ask the child to call out the word it lands on before they start jumping and again when they land on the word to pick up the stone. Write sight words on cement or pavers outside – pass out some plastic spray bottles filled with water (coloured water is even more fun!) and as you call the words out they must race to use the water spray to erase each word, lots of fun on a hot day. You might also ask the children to choose and name their own words. If your child likes cars draw up some car parking spaces in a cardboard box and write a sight word in each space, add some little cars and ask them to ‘park the cars’ as you call out words to find. Write sight words on cardboard or plastic cups, turn upside down and place a small toy or figure under one of the cups without the children seeing. Name of the game to find the toy/object. Each child takes a turn naming the sight word on the cup they choose – lift it up…is the toy there? Recycle some plastic drink bottles and tape sight words to the bottles – pass out balls and go sight word bowling! 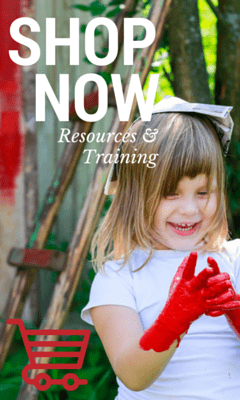 I hope you found some of these ideas and suggestions useful – especially if you are looking to bring more play into learning! Keep an eye on my Facebook page as I will be regularly sharing photos of some of the ways we are practising our sight words and having fun through play at the same time. 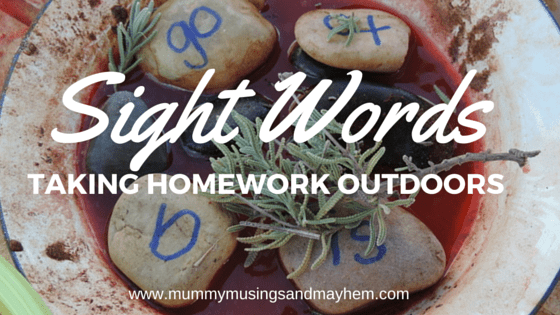 How do you practise sight words?